Prior to writing this article I spent a couple of wonderful days visiting family in the north of Italy near a town called Udine. As Italian families do, I was spoiled with some of the most delicious food my tastebuds have ever had to pleasure of coming in contact with and in amounts that sent me straight to bed in a stuffed-to-the-brim, dream-like state only to wake up the next day, walk down to the kitchen, and feed again. With two and a half days of heavy feeding, largely of the pasta, pizza, vino, and beer variety, I needed to lift some heavy weights. And so, sitting down back in the apartment in Milan, I wrote the following workout, and today, the day after said workout, walking and sitting down are about the two most impossible tasks I can partake in thanks to the wonderful DOMS created by The Leg Day to End All Leg Days. Let the reps dictate the weight. So choose a weight that will get you to come close to failure while maintaining good form on the last rep in the set. 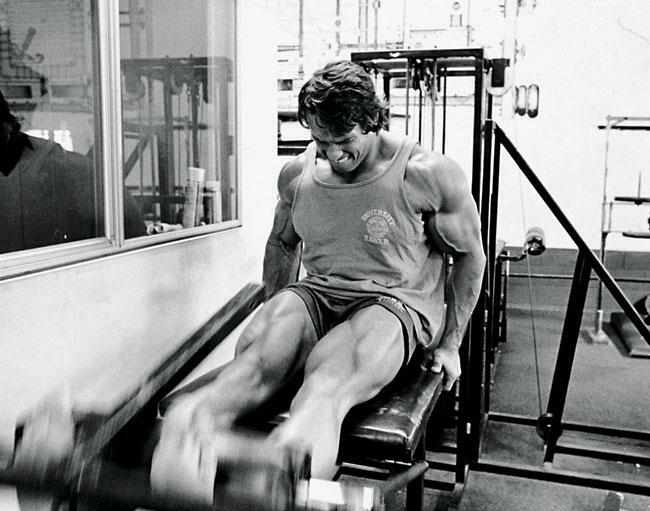 For sets lower than 8 reps, leave at least 2 reps in the tank, focusing more on exploding in the concentric phase while being controlled in the tempo of the eccentric phase. Tempo: Go at a normal speed, always going as fast as possible on the concentric contraction, unless, of course, otherwise stated. The only adjustment we’ll make is on the eccentric contraction (usually the way down). Note: On the last set, drop the weight by 30% and continue to failure once again. Tempo: 3 sec on the eccentric contraction, except for the last two sets, which are done at a controlled, fast pace. Repeat for 3 insanely tough but satisfying sets. Life is what you put into it. It’s what you make of it. It’s the intensity at which you live it, partake in its pleasures and its pains. Though the gym is primarily used to improve aesthetics, the guy with even a shred of wisdom will use it for more, he’ll see it as a metaphor, a microcosm of life, wrapped into a 45-60 minute session, filled with pain and suffering and moments where we want to quit. Treat the gym as you should treat life, as one badass epic battle. It’s you vs your weakness. You vs the weight. Your workout is, and only can be, what you put into it. Fight for every last rep. Fight knowing that to quit even one rep early in a single seemingly insignificant set is, when replicated on life’s grander scale, the difference between being good and being great. Dare to do even mighty things in the gym, training your body for the war of life one rep and one set and one excruciating battle with the barbell that wants nothing more than to bring you down to the ground, writhing in glorious anguish of a battle fought to an epic climax. If you do this, you shall have your leg day to end all leg days.